In blender, place all ingredients except lime wedges and salt. Cover; blend on medium speed until smooth and thick. Rub rims of 4 margarita glasses with lime wedge; dip rims of glasses into salt. Divide margarita mixture evenly among glasses. Serve immediately with lime wedges. If desired, make a yummy frozen strawberry margarita. Instead of using mango, increase strawberries to 3 cups. 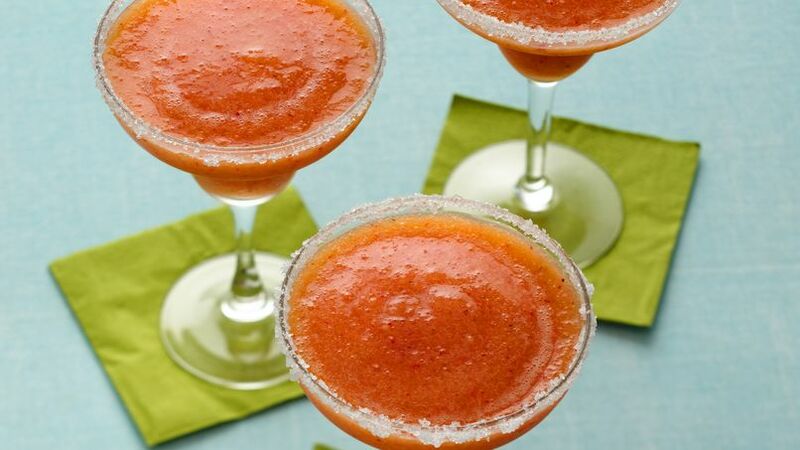 Enjoy these refreshing margaritas made using mango and strawberries – a wonderful Mexican-style drink ready in just 20 minutes.